Waikiki Beach on the island of Oahu. Hawaii is a very popular vacation destination. However, choosing the right Hawaiian Island for you can be challenging. Each of the Hawaiian Islands has its own character and its own special experiences to offer. So let us help you answer the question: which Hawaiian Island should you visit. If you like the convenience of cities, while enjoying beaches only minutes away, then Oahu might be for you. 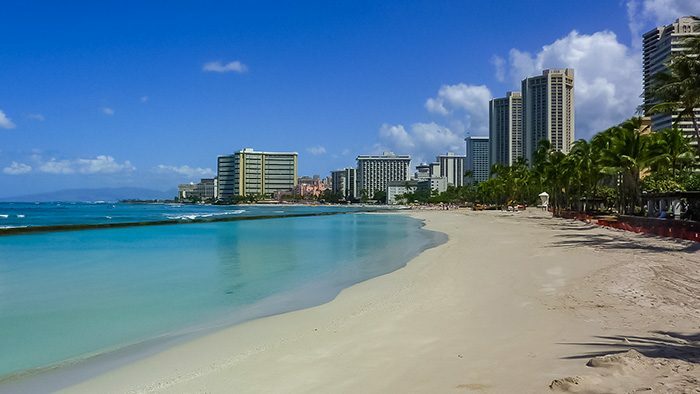 Oahu is home of Hawaii’s largest city, Honolulu. It offers a wide range of historic sites, museums, restaurants, eateries and multi-cultural festivals. There are some very significant destinations on Oahu that are on the itineraries of many visitors. These include historic locations such as the USS Arizona Memorial. There are also the Battleship Missouri Memorial, the Bishop Museum and Iolani Palace, the only royal palace in America. If outdoor attractions are for you, visit Oahu’s North Shore, which hosts the Van’s Triple Crown of Surfing events every winter. Hike up to the summit of Diamond Head crater for a stunning view of the Waikiki area. Or check out the panoramic vistas at Pali Lookout, Punchbowl crater or at Makapu’u Lookout. 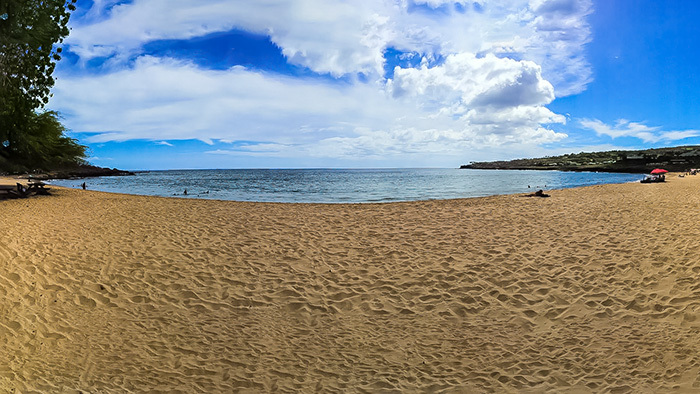 Some of the country’s best beaches are on Oahu, like Hanauma Bay and Kailua and Lanikai beaches. Lava flow on the Big Island. The Big Island offers unique natural attractions as well as world-class sporting and cultural events. 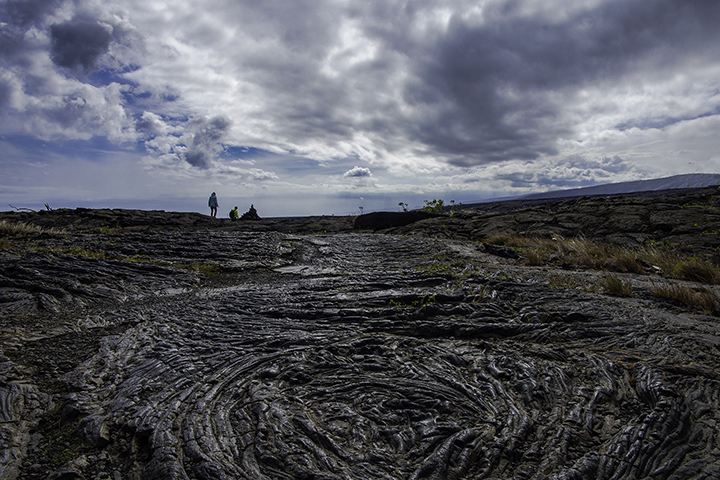 Hawaii Volcanoes National Park might be one of America’s most interesting national parks. It is home to Kilauea, one of the most active volcanoes on the planet. The otherworldly vistas of its landscape, such as craters, lava tube and lava flows, make for a unique experience. Kilauea’s biggest attraction is that it has been continuously been erupting since 1983. As a result, you have the rare opportunity to see an active volcanic eruption close-up. There is a spectacular event when its lava reaches the sea. Here, the meeting of molten rock and icy cold water create ongoing explosions of steam and hot gases. As such, it continues to add shoreline acreage to the island. Each year the Big Island offers world class sporting and cultural events. The town of Kailua-Kona features world class deep sea fishing. Furthermore, it is home to the qualifiers-only Ironman Championship during October. In April, the town of Hilo hosts the Merry Monarch Festival, the world’s most prestigious hula event. Maui is the place for travelers who enjoy the outdoors but still appreciate upscale accommodations. You can find its resort areas primarily along the south coast of the island. These areas are Kapalua, Ka’anapali, Wailea and Makena. 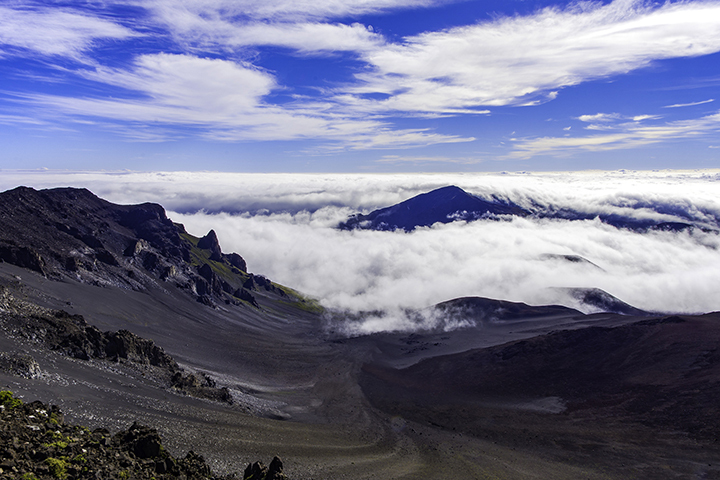 From these places, you can then visit the 10,023 foot summit of Haleakala in Haleakala National Park. There are also Ka’anapali’s white sand beaches and the awe-inspiring mountain vistas of ‘Iao Valley. Maui also offers scenic getaways such as the iconic Hana Highway. Here, you can see the town of Hana and the Oheo Gulch area. This is where you can hike through bamboo forests as well as see towering waterfalls and the idyllic Seven Sacred Pools. In the historic town of Lahaina, you can visit museums with artifacts of its whaling past. During November to May, Maui’s southern coast is the ideal place to view migrating humpback whales. If your goal is to avoid crowds but still want a luxurious getaway, then Lanai provides the perfect opportunity. Larry Ellison, Oracle founder and one of the world’s richest persons owns most of the property and resorts on the island. He has made significant investments to provide some of the finest luxury hotel accommodations anywhere in the world. Bill Gates, Oprah Winfrey and Arnold Schwarzenegger are among the celebrities who have visited the island. 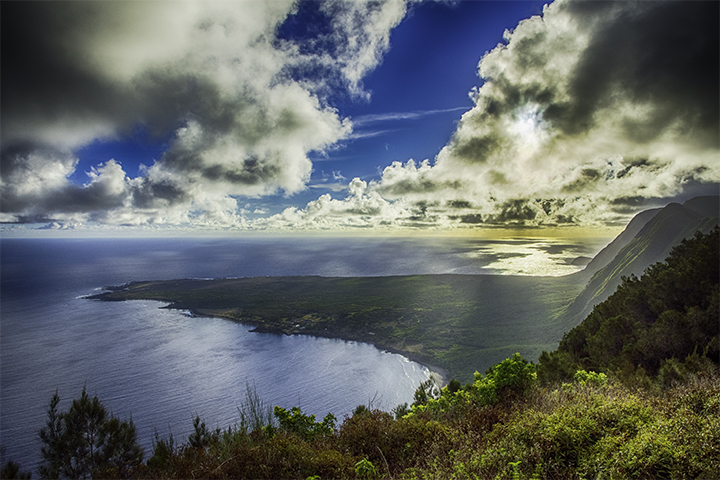 View of Kalaupapa Peninsula on Molokai. Molokai is for those who want to get away from it all and enjoy a vacation in a rural setting. There are no big towns or 5 star hotels, just comfortable and informal places to stay and relax. The island offers nice beaches on the south side and the highest sea cliffs in the world on the north side. You can even take a mule ride, down those same steep cliffs to the Kalaupapa National Historic Park. Here, you can visit a settlement that was a place of banishment for those with leprosy. Leprosy was once an incurable and dreaded disease, which medical science now calls Hansen’s disease. You can hear the poignant stories of Father Damien and Mother Marianne Cope who attended to those afflicted with leprosy. As a result of their selfless acts and sacrifices, the Catholic Church has recently canonized them as saints. Kalalau Valley on Kauai. Make sure you see this place when thinking about which Hawaiian Island to visit. The island of Kauai is for those who enjoy spectacular scenery. Kauai is one of the world’s wettest places and this is what makes Kauai the verdant paradise that it is. It’s no wonder why the island was the scenic backdrop for numerous Hollywood blockbuster movies. Among them include: Jurassic Park, King Kong, South Pacific, The Descendants, Lilo and Stitch and Pirates of the Caribbean. The Na Pali coast, Hanalei Bay, Wailua River and Waimea Canyon were some of the prominent filming locations. In addition to its scenic landscapes, Kauai is one of the less populated islands in Hawaii. Much of its unique charm, often portrayed on the big screen, has been maintained. By being on Kauai, you can directly experience what Hollywood has attempted to capture on film. The island offers great opportunities for those willing to tackle the outdoors. 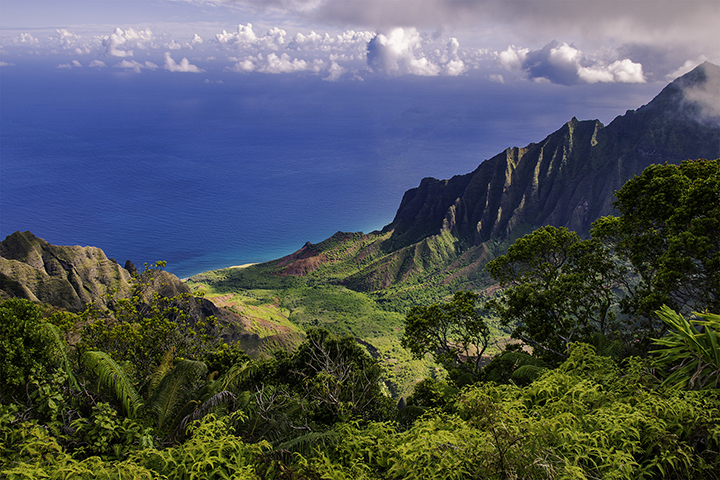 As an example, the world famous Na Pali Cliffs are only accessible by hiking, by boat or by helicopter. While you can only see beautiful and remote Kalalau Valley through a fairly challenging hike. There are also great venues for kayaking and paddle boarding along the Wailua River, Hawaii’s only navigable river.